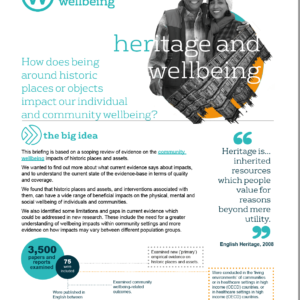 Today the Centre publishes Joint Decision-Making, that looks at the impact of meaningful community involvement on wellbeing from our Community Wellbeing Evidence Programme. 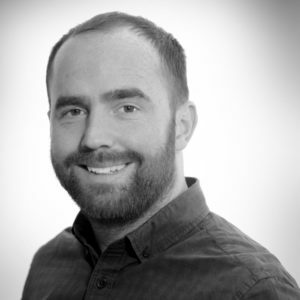 Reflecting on the review findings in today’s guest blog is Daniel Pearmain, Evaluation and Learning Manager at People’s Health Trust. The Trust focuses on the ‘causes of the causes’ of ill-health, rather than waiting until people need intervention through the health care system. Today’s report on joint decision-making from the Centre is welcomed as a hugely valuable addition to the evidence in this area. It gives a clearer and richer understanding of what’s important in the processes of co-production, with its definition of joint decision-making a useful starting point. By focusing on the importance of the depth of engagement to support joint-decision making, it also reflects the Trust’s own evidence and experiences. The report’s emphasis on revealing how critical meaningful involvement is to the success of joint decision-making is important. Focusing attention in this area will ensure that when these opportunities to work collaboratively are available to communities, they will support the genuine transfer of power and control. At People’s Health Trust, we have observed that for joint decision-making to become a meaningful process that leads to improved community wellbeing, we need to create the circumstances in which people feel supported to express their voice, grow in confidence, and are encouraged to develop their knowledge and skills. At the heart of this is the need to equalise power relationships within joint decision-making opportunities. It often seems to be how things are done, rather than simply what is done, that makes the difference to this process of power equalisation. There is strong evidence, within community development processes, to show that when control is effectively transferred to groups that make decisions collectively, it can have a powerful positive impact on the wider social determinants of health for those involved. But the reverse is also true. The report highlights evidence demonstrating the potential joint decision-making processes have to deliver harmful impacts if they are not well constructed. While this will resonate with the experiences of many people, it will be a surprise to some who might think that any participatory process will produce positive outcomes. This seems an interesting area for further research; considering what the practical implications of this are for practice is important to reflect on for anyone working in this field. Often, the nature of joint decision-making takes its starting point from very unequal power relationships. This imbalance can undermine the development of collective control within a group, as their power base is often so low to begin with that it takes a long time to balance out. For example, an independent evaluation of the Trust’s Active Communities grant funding programme has demonstrated that it can take up to two years for a group to build the confidence to start feeling more control collectively. So perhaps this evidence should be used to help us better understand what the right ‘moment’ is for involvement in joint decision-making. This is really critical to avoid the frustration that can come from processes that aren’t sufficiently supportive, or lack follow-through on commitments made within them. How well policy-makers and other decision-makers absorb these critical points will determine how effectively joint decision-making can produce increased community wellbeing outcomes on a bigger scale going forward. 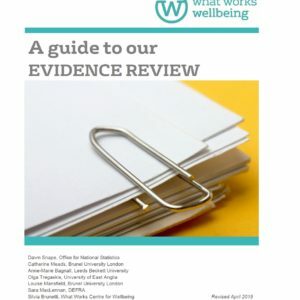 The evidence provided is useful context for understanding collective action and collective decision-making, and to open up conversations about their impact on collective wellbeing. Time, commitment to the process of equalising power, and patience are required if we truly want joint decision-making to deliver the benefits that this evidence review demonstrates are possible. Many organisations and individuals work toward greater public and user voice in decision making with the aim of achieving better outcomes and in moving away from ‘doing to people’. This review used specific terms, often used in health research, to systematically search a body of literature. 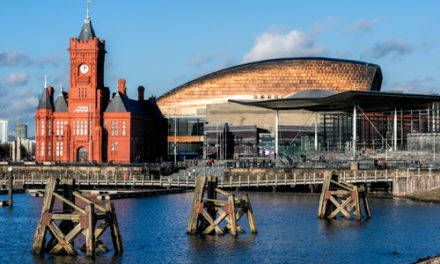 Feedback from those working in community development and engagement across the UK, suggest that there would be merit in further research looking at participation, involvement, engagement, community ownership, social capital (particularly linking capital), localism, residents, citizens as well as how impact is assessed in the field in its broadest sense and how it relates to wellbeing. PreviousWho participates in different cultural activities? NextCan community sport impact young people’s wellbeing in disadvantaged areas?